Four and a half years ago, I climbed my first mountain in the literal sense; six months later, I quit my day job to commit my life to #ConqueringFrontiers as a professional adventurer and storyteller. Ultimately, I aspired to climb the unclimbed in the Greater Ranges and teamed up with Swiss watch brand Favre-Leuba, my companion alpine watch on this adventure. 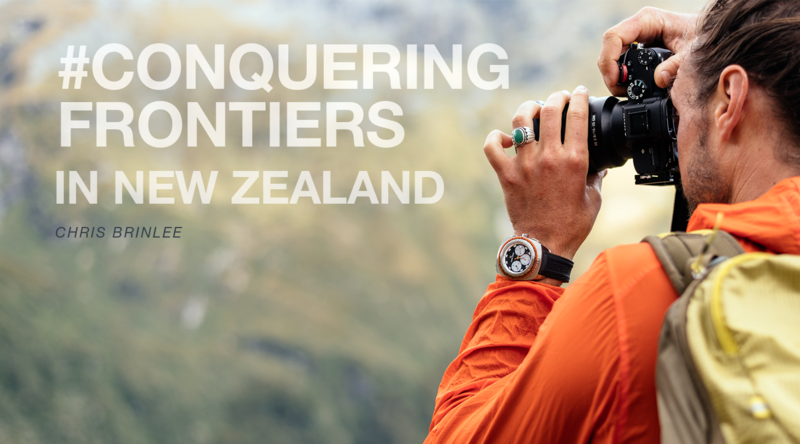 New Zealand’s rugged Southern Alps, with their massive prominence and expeditionary nature of access–combined with close proximity to liveable towns–seemed like the perfect training grounds. With my life-partner, Priya Mareedu convinced to come along for the ride, it was decided. A year of #ConqueringFrontiers in the Southern Alps was in order. For so many climbers, stories of epic adventures on Everest are what begin a passion for mountaineering and climbing. This is certainly true for me. After a few initial forays into hiking and rock climbing at the age of 12, I found my first Everest book – Crystal Horizon by Reinhold Messner – about the first ascent of Mt Everest without supplemental oxygen. I was hooked. Over the next 4 years I read everything about the mountain I could get my hands on, and started dreaming a plan to someday get there. Fast forward to today, 3 decades later, and I have summited Mt. Everest 8 times, including 1 summit, in 2017, without supplemental oxygen. Emily Harrington, one of the world's leading female climbers and mountaineers describes what pushes her further and how she conquers frontiers - from inside out. Emily Harrington is a professional rock climber and adventurer who has been a prominent and leading figure in the climbing community since she was a teenager. 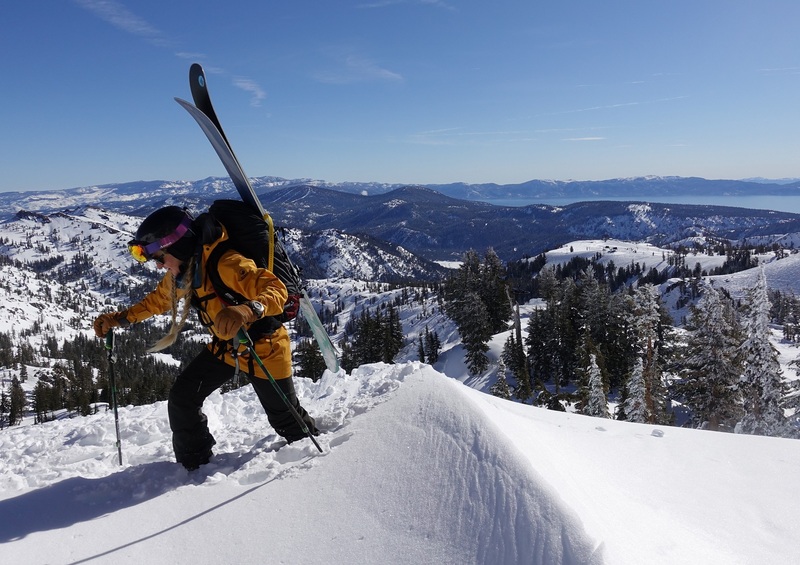 She has won 5 U.S. National Sport Climbing Championships and 2 North American Championships, as well as completing numerous first female ascents of 5.14 sport routes. She has free climbed Yosemite’s iconic El Capitan, summited Everest, and taken part in expeditions all over the world attempting big wall free climbs and high-altitude peaks in Nepal, China, Myanmar, Crimea, and Morocco. 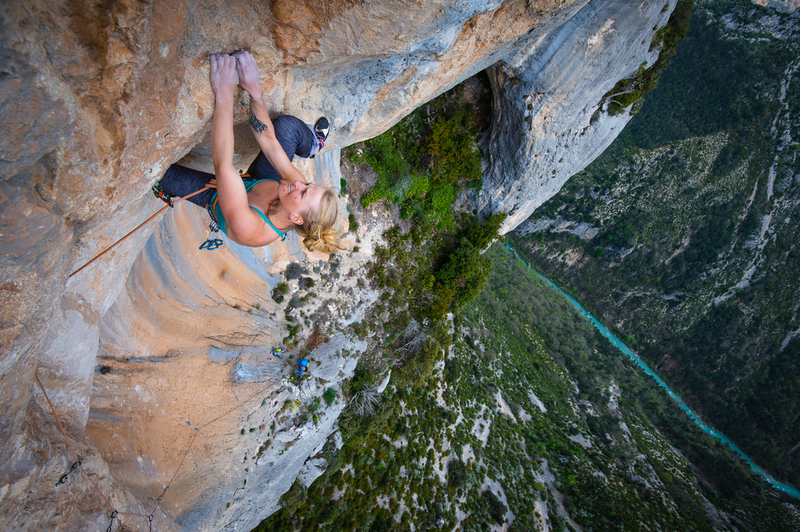 “I was 11 years old when I first started climbing and I was afraid. I was afraid that I’d fall, climb and reach too high on a wall, afraid of the exposure and the air under my feet – pretty much afraid of everything that defined climbing. I would climb and then I would cry – but these weren’t tears of fear, rather tears of shame – shame of the emotion that I was scared. I grew up like so many of us do, under the stereotypical impression that girls were scared, and boys were not. Looking back, I know how far from the truth that misconception was, but nevertheless – I wanted to prove that the stereotype was wrong, and I was going to conquer my fears and anxieties. Today – I’m still working on overcoming fears and anxieties, just like every man and woman out there. Every day I feel fear and anxiety, when forced to confront something uncomfortable. A feeling that, as we know, has no gender. I just wish that as an 11-year-old girl someone had told me not that I had nothing to be afraid of but rather I am afraid because I am human, and fear is nothing to be ashamed of. Fear is a strength we can use to learn and to grow to be better. Since I took my first climb over 20 years ago, I’ve learnt how to turn fear into a strength, rather than a deterrent. Fear today feeds my purpose and determination. Without purpose, fear is paralyzing. But with purpose, it can be your greatest asset. Through the years I have climbed the tallest peaks in the world, suffered headaches and nausea at over 25,000ft above sea level. I have lived on the side of a vertical cliff for a week straight, sleeping on a nylon ledge 2500ft off the ground. These have all been journeys in overcoming fear. At first, it is uncomfortable, painful, intimidating, unconventional, and yes – it’s a scary thing, but the more I do stuff like this the more I realize that we humans are remarkably adaptable. The day I wake up and something no longer feels scary or intimidating, I try the next thing that makes me uncomfortable. The process of feeling that fear and discomfort turn into comfort and confidence is empowering. It gives me strength and fuels my desire to push myself further, to learn more about myself and the world around. Every climber knows the right tools are not only indispensable but can be life-savers. Even if you take every precaution, being caught by surprise is part of the journey. You can suddenly find yourself, hanging precariously to a ledge or engulfed in a sudden weather change. If there is a change in the weather, climbers know not to fear, but rather re-evaluate their journeys and decide whether to push ahead or take shelter. The altimeter on the award-winning Bivouac 9000, for example, shows a change in the atmospheric pressure, enabling climbers and mountaineers to make a well-informed decision in advance of a sudden weather change. It also enables them to have a better understanding of their geo-position, vital if they need to broadcast an accurate location in case of an emergency rescue mission. Knowledge teaches climbers how to find safety, their equipment can save their life. As with everything that’s worthy of pursuing, climbing is characterized by a lot of failure. 99% of what I do is fall and fail. This failure is just way of building invaluable insight and experience. Failure or not, it’s the trying – and the learning that matters. Every once in a while, I don’t fall, I manage to hang on, to endure the suffering, to summit the mountain. But I would never succeed if it weren’t for those hundreds of thousands of failures that came before. On social media, high altitude mountaineering looks like it’s all stunning sunrises, lofty summits, and day after day of joyous climbing. And fortunately, there are times it is exactly that. But what often isn’t seen is the days weeks and months that lead up those special moments. I’m currently sitting at 5200m/17,000ft in Base Camp on the North (Tibetan) side of Mt. Everest, and it feels so good to be here! It’s made all the better by the work it took to make the trip possible. I’m here, for my eleventh season in a row on Mt. Everest, to attempt something new. 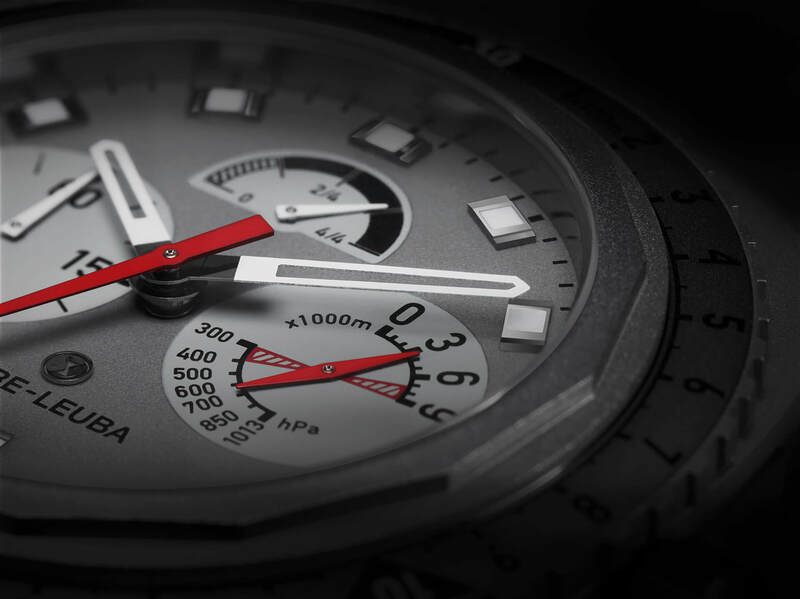 Favre-Leuba AG, the second oldest Swiss watch brand that is renowned for its tool watches such as the Bivouac and Bathy, and WISeKey International Holding Ltd (“WISeKey“) (SIX: WIHN; OTCQX: WIKYY), a cybersecurity IoT platform company, have partnered to implement the WISeAuthentic Blockchain edition to authenticate and protect Favre-Leuba’s watches and their owners. 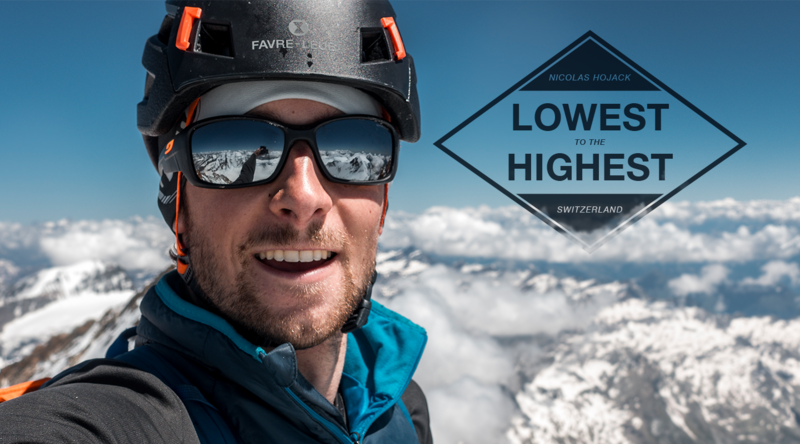 Alpinist and Favre-Leuba ambassador Nicolas Hojac consistently seeks unique paths to test his mountaineering skills and endurance. 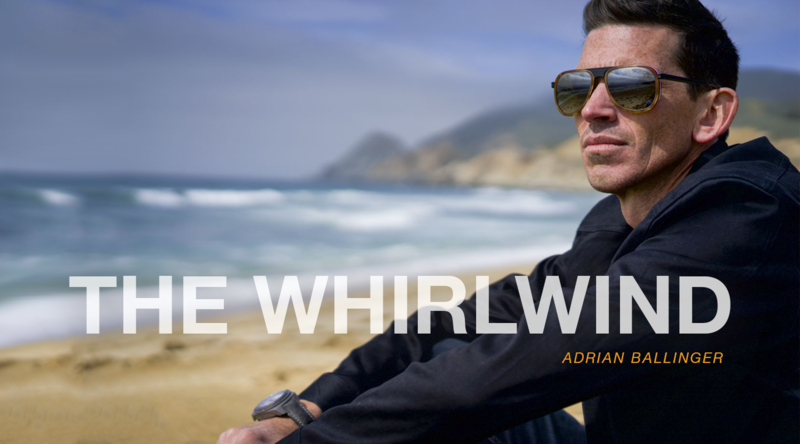 His latest project is a true test of athletic stamina and a show of multi-sport skill-sets that combines road, land and air. The objective of his latest mission was to journey ‘man-powered’ from the lowest to the highest point in Switzerland. A feat seemingly only achieved by one person before him, thus presenting a well-proven difficult route that many have attempted and failed. After much research and consideration, Nicolas set-about the initial navigational and endurance challenge on the 29th June from Brissago on the shores of Lake Maggiore (lowest point in Switzerland). Stepping into the saddle as part of a project was a new aspect for Nicolas, but nonetheless, in just over 3.5 hours, he had conquered the 100km cycle to Macugnaga. In 1962, Favre-Leuba introduced the world to a watch that redefined limits. It was the one of legendary watches of the 20th century – the Bivouac, the world’s first mechanical watch with an aneroid barometer. Fifty-five years later, celebrating the 280th anniversary of Favre-Leuba, a new Bivouac – the Raider Bivouac 9000 – was launched. Once again, a Bivouac redefines limits and sets a new standard in timepiece engineering with the creation of probably the best watch in the growing luxury sports and outdoor watch market. Since its launch last year, the Bivouac has already broken records, reached new heights and won one of the most prestigious awards in the watch industry. 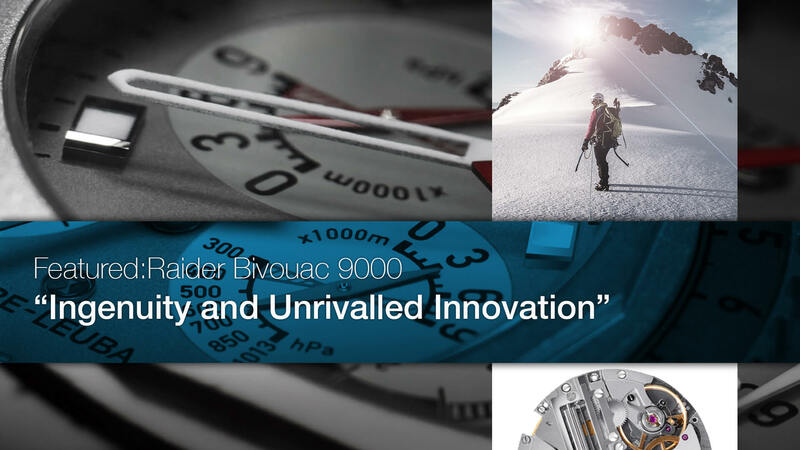 It’s the features, capabilities and incredible feats of engineering that make the Bivouac 9000 a remarkable outdoor/adventure watch / tool that also tells the time like no other instrument. In this three-part series – Satyarup Siddhanta –an asthmatic child, takes up the challenge to become a record-breaking mountaineer. The whys, the hows and the why-nots that have led him on adventures conquering the highest peaks on earth to exploring the ends of the world are captured here. 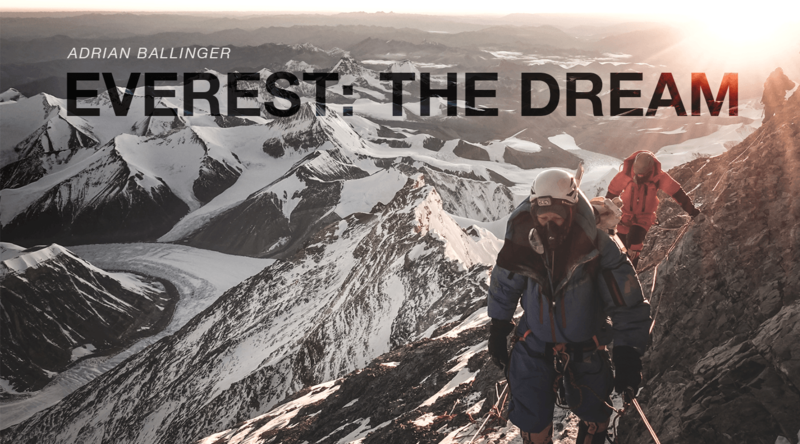 If you’ve ever dreamt of exploring the unexplorabed, climbing to the highest heights or travelling to the ends of the earth – then this series is a must-read, whether you’re a mountaineer, explorer or home-bound dreamer and adventurer. …but Mt. Everest is still Mt. Everest. If there is one takeaway from my eleventh season on the tallest mountain in the world, that is it. A season that seemed to be going perfectly, where the weather, the team’s strength, and my company Alpenglow Expedition’s logistics, came together for a perfect, almost easy summit. That’s when the unexpected, really the impossible, actually happened, and everything was out the window except survival. But I’m getting ahead of myself. 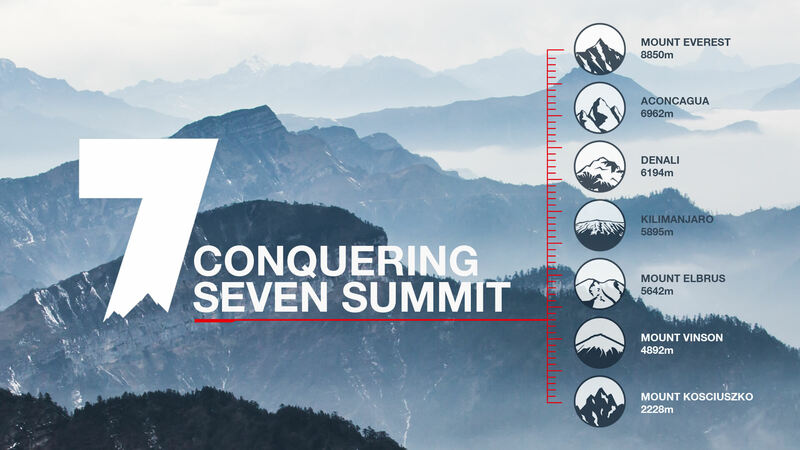 My team’s goal this year was to climb two 8000 meter peaks in less than a month. We began on Cho Oyu, the world’s 6th tallest peak, 8188m/26,864ft. I’ve summited and skied Cho Oyu twice before, but this season felt different. There were only thirty-ish total climbers on the mountain this season, and when we arrived in Base Camp (already acclimatized thanks to our Rapid Ascent system) no one had done any climbing on the mountain yet. But we only had one week before we needed to move across to Everest, so we dove in. 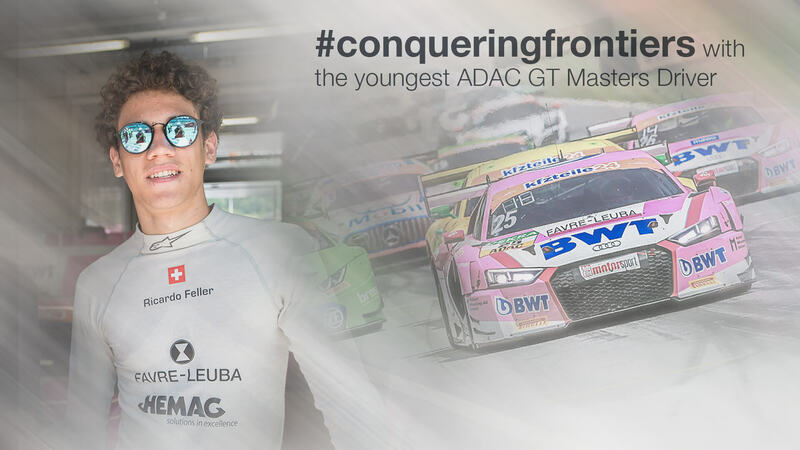 I recently took part in my third ADAC GT Masters race at the Red Bull Ring in Austria. One thing was clear from the get-go: we were going to fight our way to the front in spite of the tricky conditions. We knew right from the start that we had a tough weekend ahead of us. This track has very long straights, which isn’t ideal for the Audi R8 LMS due to its relatively low top speed. On top of all that, we had to deal with a slight setback during the practice sessions on Thursday and Friday due to a few technical issues. But we managed to quickly find a race setup that we were pretty sure would get us where we wanted to be.